Inverness Cycle Club is a group of enthusiastic amateur cyclists whose aim is to promote cycling in the Inverness area. 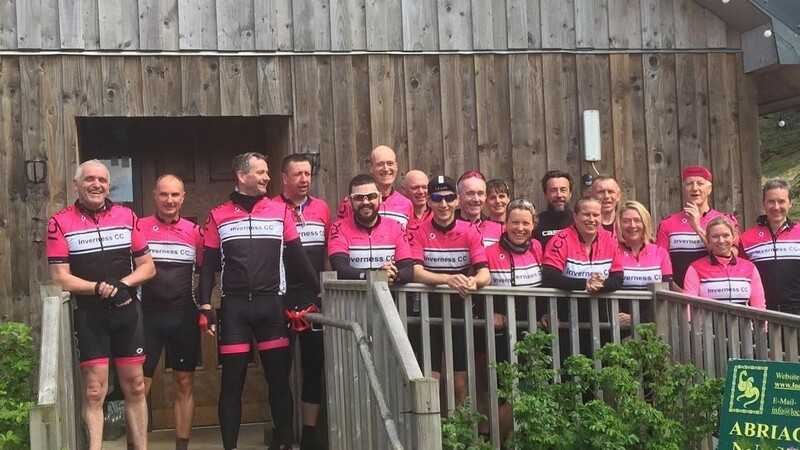 The Club is affiliated to British Cycling and Scottish Cycling and is run by the members for the members, endeavoring to cater for all types of cycling and abilities. Whether you have aspirations to race on the road, descend the downhills tracks on the mountains or just wish to challenge yourself and improve your own personal fitness, Inverness Cycle Club has something for you. Above all we want everyone to enjoy riding their bikes as much as we do. Monday Nights: This is the night we class as our taster night. These nights are open to anyone who is thinking about joining Inverness Cycle Club as well as existing members. We will tailor the ride to suit all levels. We appreciate that joining a cycle club may seem a little intimidating but please do not be put off. This is an ideal night to try the club where we will introduce new members to the benefits of club riding. Tuesday Nights: Time Trial Night, this is open to members only, to comply with British Cycling rules. Members of all levels cycle individually against the clock on a measured course. This is a great measure of rider’s progression throughout the season. Thursday Nights: Chain Gang Training Night, this is open to club members who are confident riding in a group as part of a chain gang. This is a training night where everyone is pushed to their limits in a safe and controlled manner. Saturdays: Club Coffee Ride, this is a social ride with the distance extending as the season progresses. Distances are usually in the region of 50 miles with a coffee stop en-route and one of the many cafes that support cycling throughout the year. We aim to run a couple of longer rides in the summer which are planned in advance. Ad Hoc Rides: A number of members post a variety of different rides on the club forums to suit their own work and family commitments or specific training needs. We do not expect new members to be super fit. Getting out and trying your best is all we ask. The pace will not be fast on Monday nights and will be tailored, with the route, to suit. Nobody is ever left behind on any of our club rides. Need some new gear or to update your wheels, check out our links to local suppliers and online affiliates. Any questions before or after you join up contact one of our committee members here. Check out our image gallery of past events.